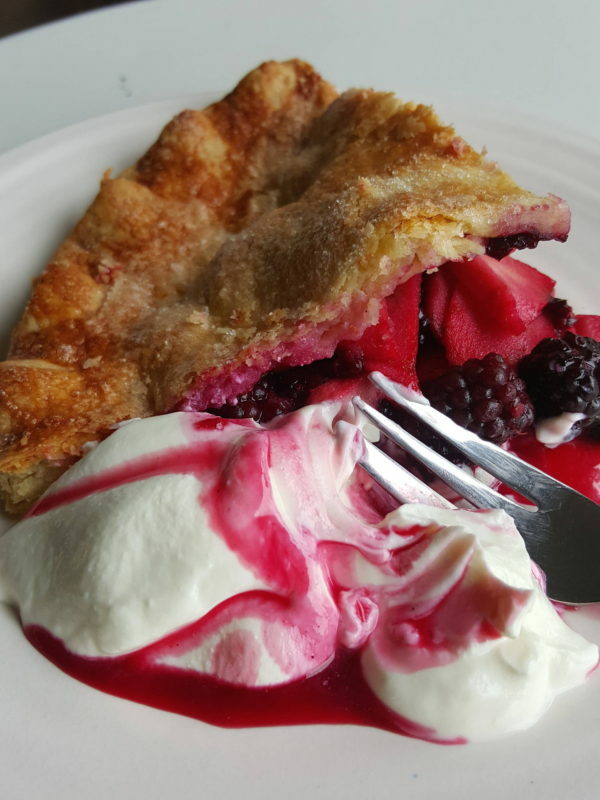 Well made fruit pies are glorious! I've tried the pastry made with a whole egg, which makes it a little stronger and easier to deal with, but it is more tender to eat when made just with the yolk. 3 Peel apples, slice and put them in a bowl. 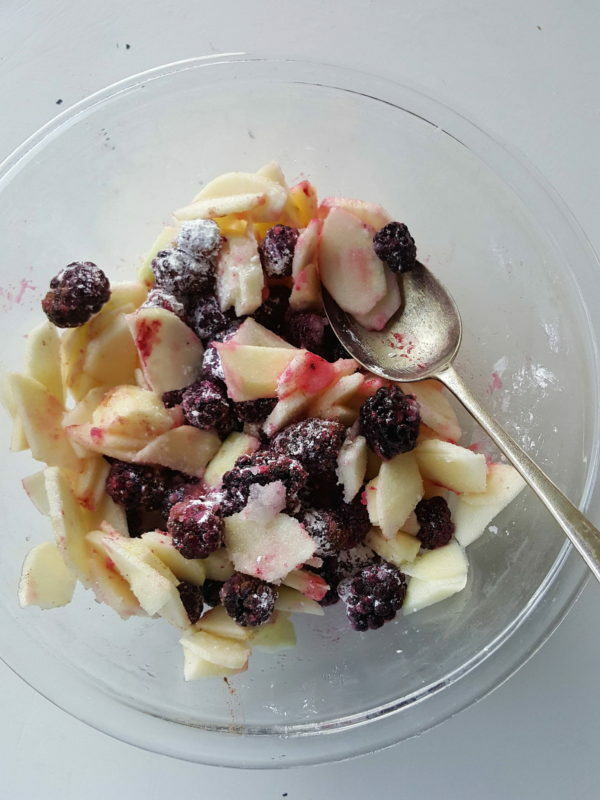 Mix through lemon juice, and add blackberries, cinnamon, sugar and cornflour. Toss gently. 4 Cut off a little more than a third of the dough for the top of the pie. Roll out the rest of the dough on a lightly floured surface and line into a 24cm (9-10 inch) diameter pie plate. 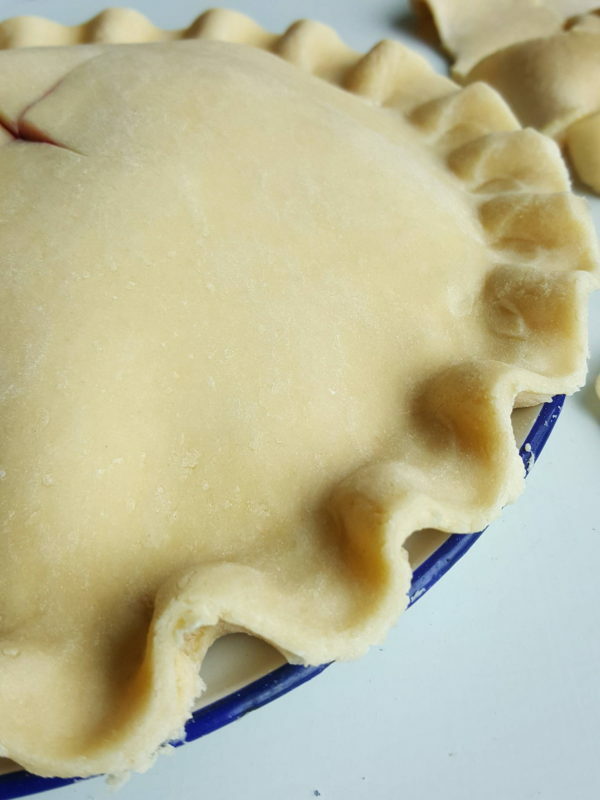 Trim off excess pastry with a sharp knife. 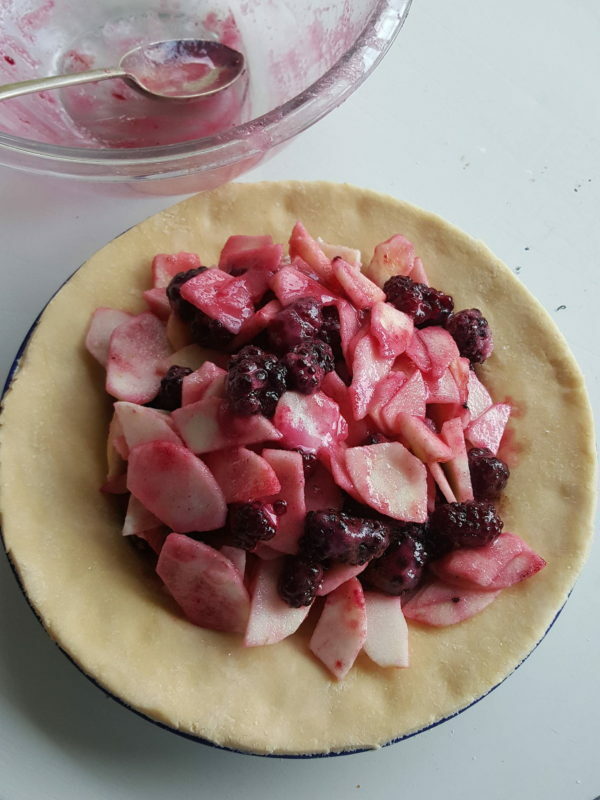 Spoon apples and blackberries into pie, mounding them towards the centre. Dampen pastry edge with water. 5 Roll out remaining pastry to a 30cm (12 inch) round on a lightly floured surface, roll pastry around rolling pin and unroll it over the top of the pie. Drape pastry over top of fruit, gently press pastry edges together, then trim away excess pastry. 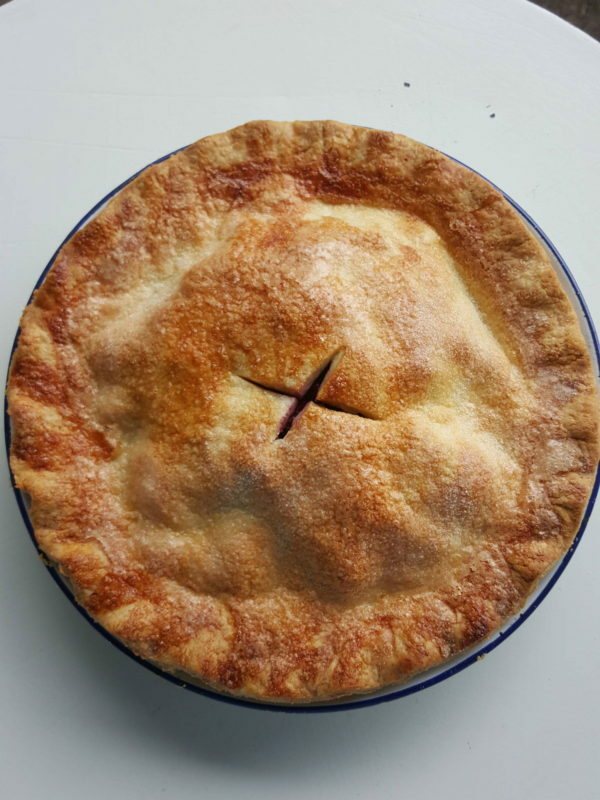 Trim off excess pastry and crimp edges together by pushing an index finger on one hand under pastry edge and gently squeezing pastry around it with the index finger and thumb of the other hand. 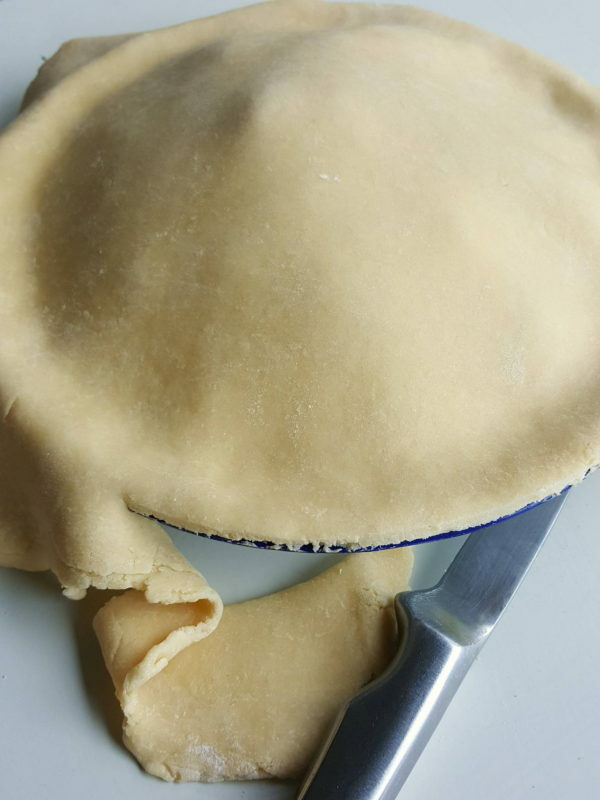 Make a steam hole in the centre of the pie, or cut a large cross with a sharp knife, then brush pie with beaten egg white and dust with caster sugar. 6 Have a baking sheet heating in the bottom third of the oven. 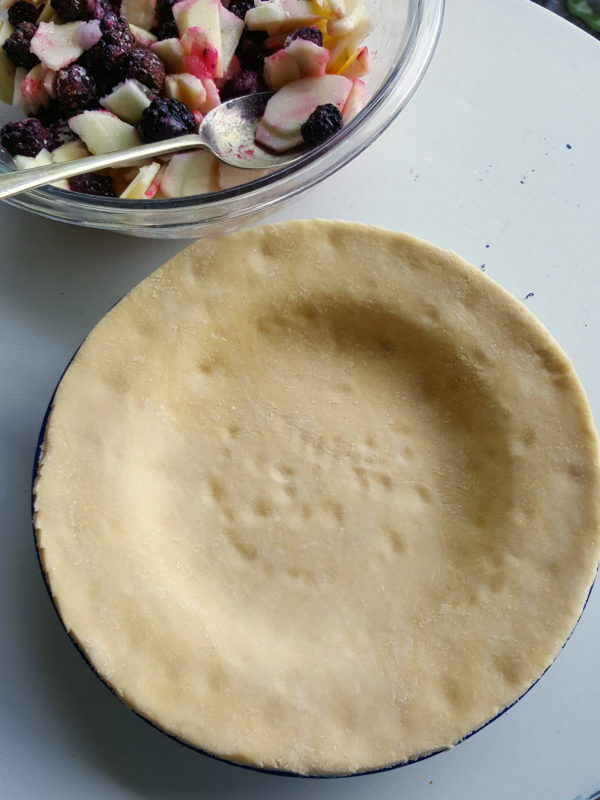 Put pie dish on baking sheet and cook for 35-40 minutes, or until pastry is a good golden brown and fruit is tender (if the pastry colours too quickly, drape it with tin foil to deflect the heat). Serve hot with ice cream or warm with thickened yoghurt. Do not attempt this in a china dish because the pastry on the bottom of the pie will not cook. 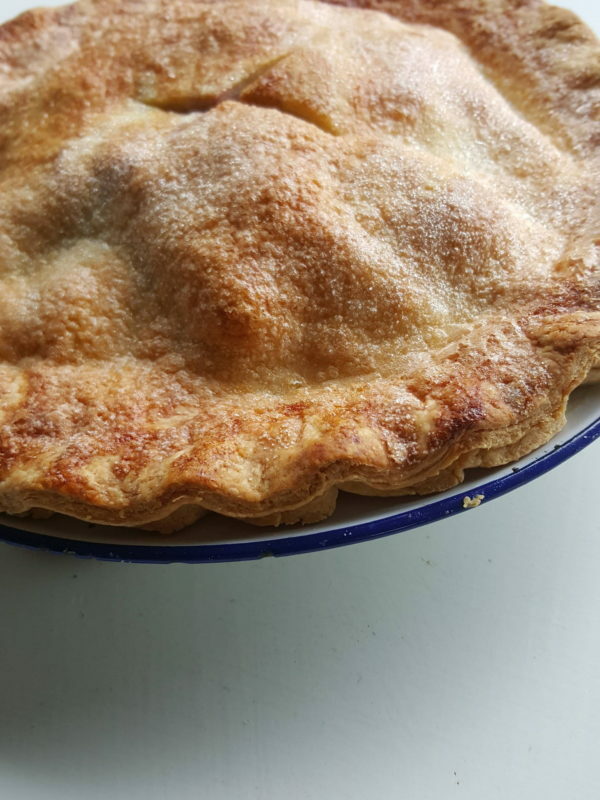 An enamel pie plate is best because it heats quickly and stays hot and transfers the heat to the pastry. 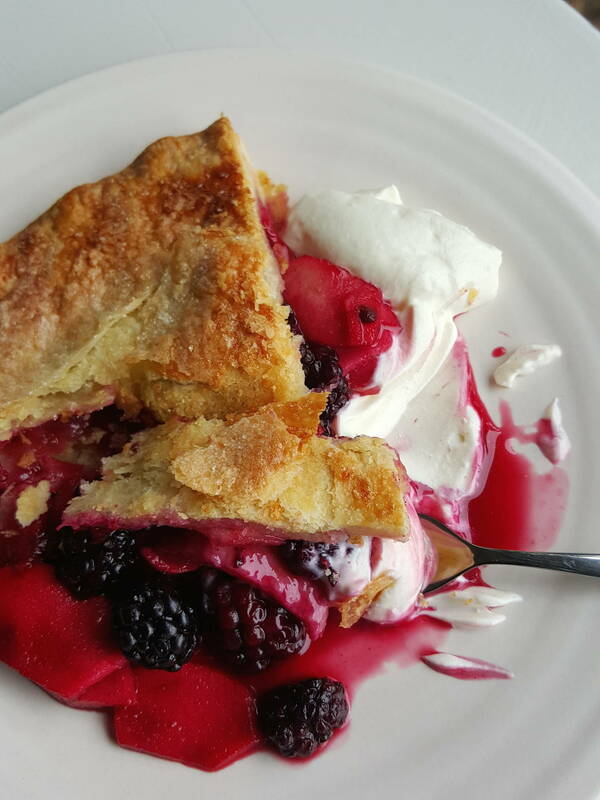 If using frozen blackberries, increase cornflour (cornstarch) to 3 tablespoons. When it's sunny in London - out you go!